The ideal place to sit whilst enjoying dinner with the family. Contemporary brown suedette seating . 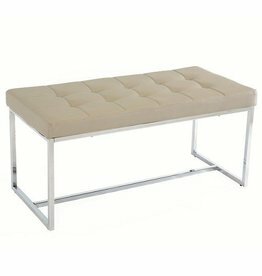 New York dining bench - mink grey. Cushioned seat of faux leather PU with chrome supports. This dining bench is designed to fit into a rustic themed setting.